This is super interesting. 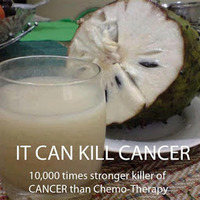 Sometimes the soursop very forward. Other times, the honeysuckle gets pushed to the front. The Yakima hops does a nice refreshing backnote. This pudding base is delicious. I don't really taste much coconut but it gives the pudding so much body . I'll be stealing this base and for that, you get 5 stars. Great job! I didn't dislike the hopped-up soursop here, but unlike ConcreteRiver, I didn't love it either. These five stars aren't for that part. They're for that bangin' pudding base of FLV Coconut, INW Custard, and FLV Vanilla Pudding. I can't wait to throw a bunch of different tropical fruits (separately, not at the same time) at that yummy pudding base and see which one is the most delightful.